Is it possible to lower the cost of clean air without sacrificing effectiveness? A few months after I published my DIY tests, there were already Taobao stores up and running, selling DIYs even cheaper than my 200 RMB. I was intrigued. If we could really lower the cost of clean air, that’s a win! But we have to be sure these cheaper machines are as effective. So I ordered the cheaper machines, tested them systematically, and found they performed much worse (2). But that doesn’t mean there aren’t ways to make HEPAs even more affordable. 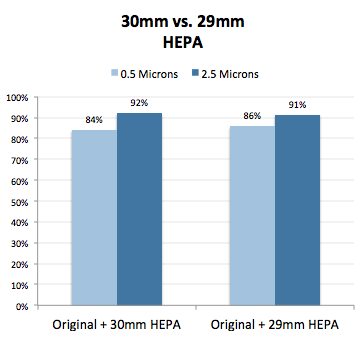 Recently I tested one way to do that: if we can shave 1 millimeter from the size of the HEPA, we can save 6% on the price. This new size still covers the fan opening, but does it still work as well? 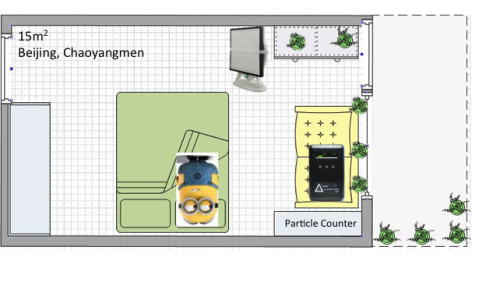 To test this question, my collaborator Anna ran 10 overnight room tests with the 290cm in her Beijing apartment and compared it to my earlier tests of the 30cm HEPA in the same 15m2 room. 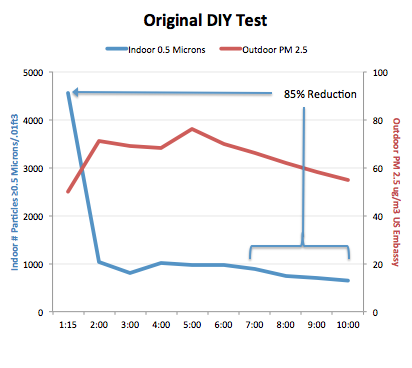 On average, the new 29cm HEPA reduced 0.5 micron particle levels in the room by 86% and 2.5 micron levels by 91%. 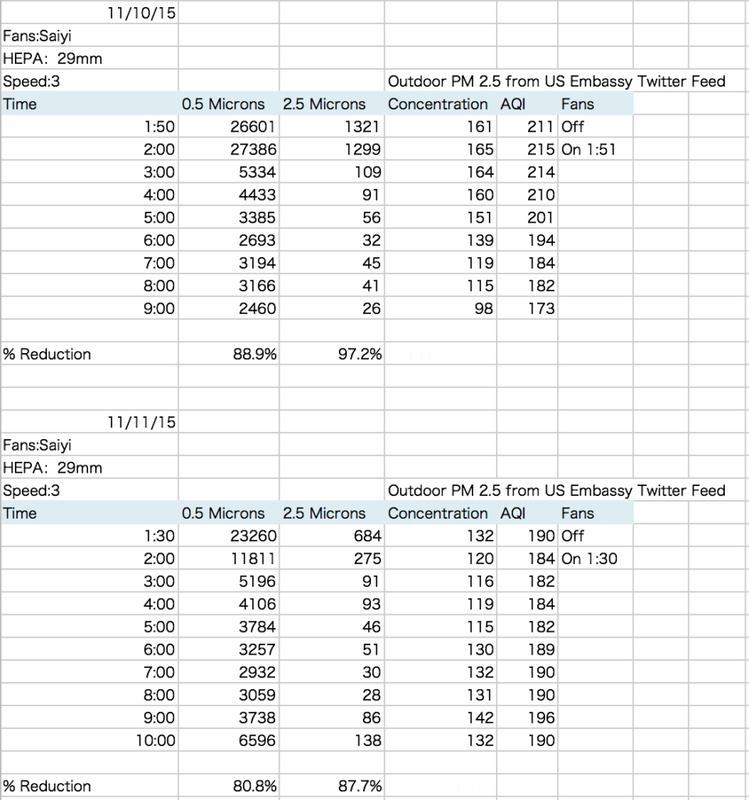 These results were almost identical to my prior results with the 30mm HEPA. This new HEPA lets us lower the cost of clean air without sacrificing any effectiveness. Win! We just lowered the price of Smart Air HEPAs from 80 RMB to 75 RMB. As a side note, this test is now the third series of room tests I’ve published with the Original DIY (early tests; 200-day longevity test). Add that to Dr. Saint Cyr’s tests, and I’d say that’s a satisfying amount of reproducibility. For fellow data nerds, I’m posting the original data and more details about the test below. I like these long tests more than the common 20-minute tests (such as CADR tests) because this mimics how most people use purifiers. 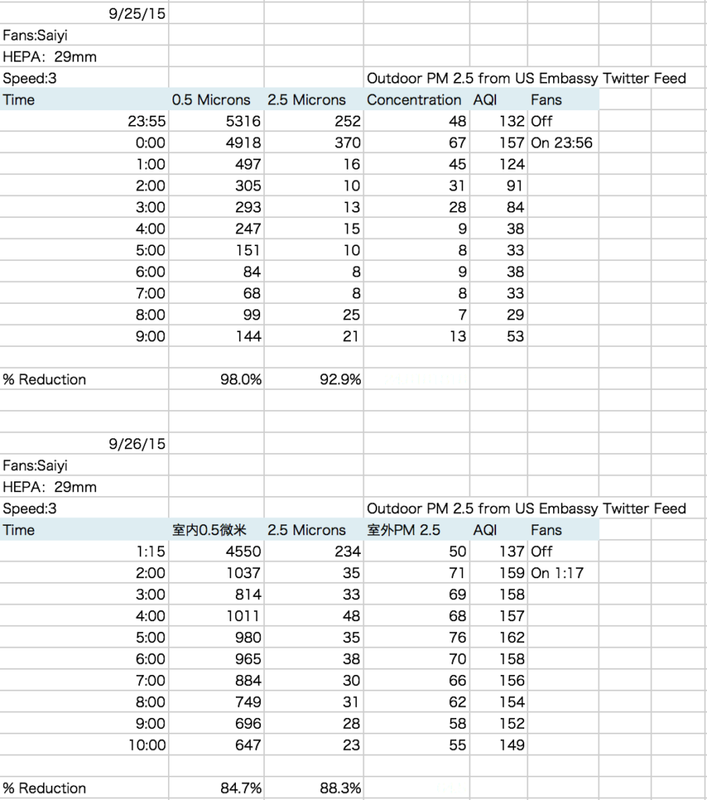 However, one drawback of these long tests is that outdoor PM 2.5 levels sometimes change over the course of 8 hours. 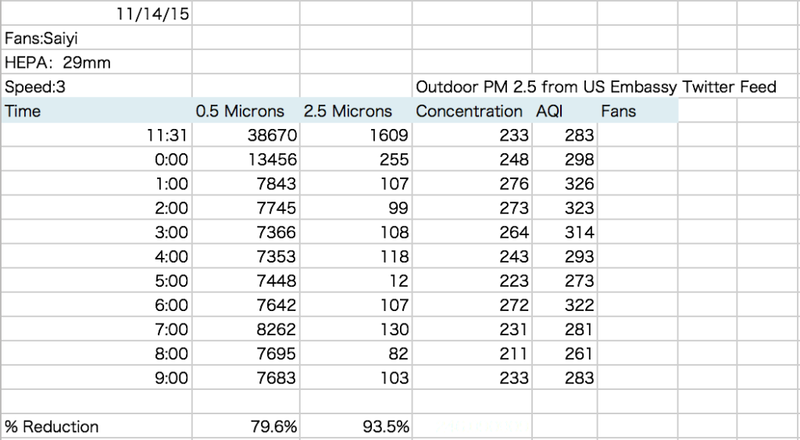 If outdoor PM 2.5 drops, that can artificially inflate effectiveness. 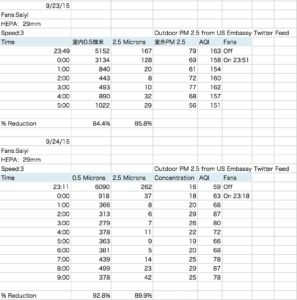 If outdoor PM 2.5 rises, that can artificially decrease effectiveness. These changes should cancel out over 10 tests, but it’s worthwhile to re-run the analysis while excluding days with large outdoor changes. 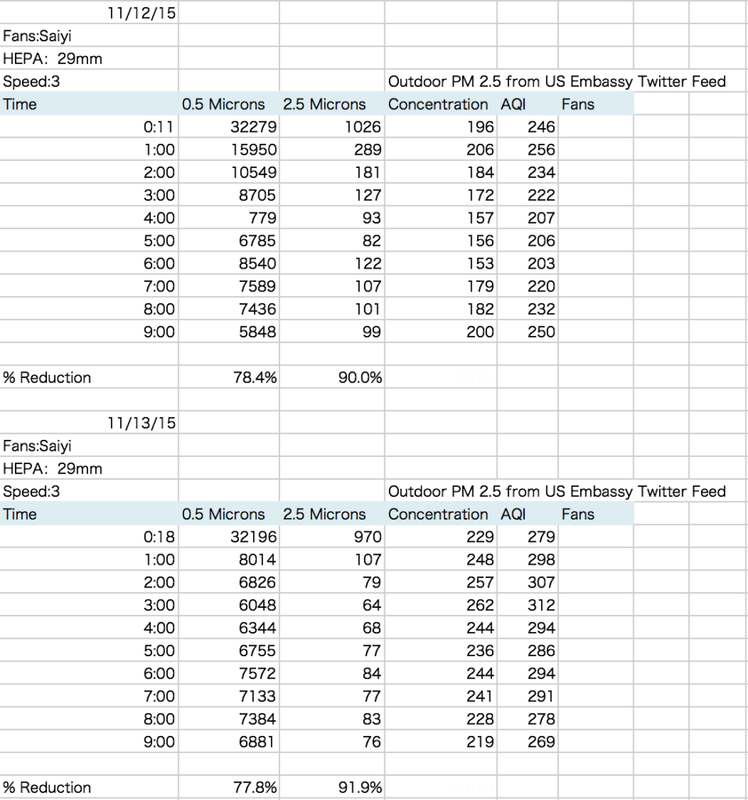 Among these 10 tests, two days (9/25 and 11/10) had large outdoor PM 2.5 changes. Without those two days, the averages were almost identical: 84% on 0.5 micron particles and 91% on 2.5 micron particles. It’s also worthwhile to check out bad outdoor PM 2.5 was during the tests to see if these days were representative of normal Beijing air. 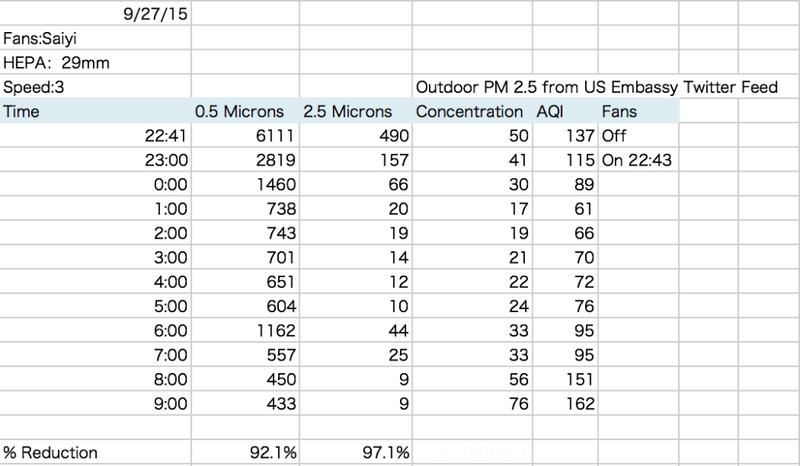 The average outdoor PM 2.5 was 116 micrograms. 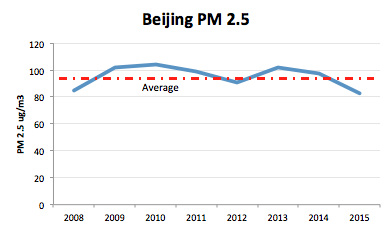 That’s about 20 micrograms higher than Beijing’s average PM 2.5 over the last five years (according to my analysis of the US Embassy’s PM 2.5 data). Thus, if anything, these tests are tougher than the Beijing average.